It was really fun teaching about gender roles. Gender roles and gender identity were difficult concepts. Most of the people in the group talked about wearing a dress as if it made you a women. So we talked a lot about biology and society and how those both influence people and gender. We also talked a lot about gender stereotypes and how they can put limits on how people act. Our big activity this week was making gender stereotype collages. 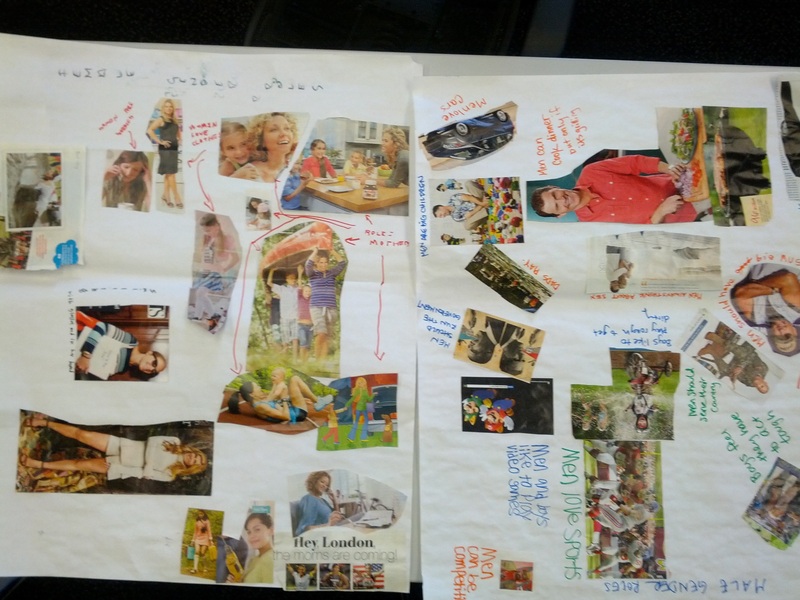 We found images from magazines that we thought reflected gender stereotypes and made them into a collage. We talked about which stereotypes were easy to break and which ones were hard to escape. The men found a lot of images they thought were more realistic depictions of women. In the future, I think it could be fun to structure that into the activity. We used a couple videos in class. The first video focused on gender identity. It shows person in the process of gender reassignment. Over the three year period you can see how their external appearance reflects gender identity more and more. The second video is more about gender stereotypes and gender roles. One of our participants brought up how boys don’t like to play with “girl toys” and I remembered having seen this and pulled it up (it’s nice when it works out like that!). If you want to take a stab at teaching this on your own, hear are the materials we used.